OUT OF CONTROL IT COSTS? SMART CAPEX = LOWER OPEX! Clients appreciate "Effective IT Solutions"
With VoIP, you can enjoy sophisticated communication technologies. WHY OUR CLIENTS & PARTNERS US! "TanChes has always been there for us as a company and has been an integral part of our Growth and Success over the last decade. The TanChes Team is dedicated and engaged in the success of our Business and helped us grow from 20 users to over 200. The true test of the level of Services provided can be measured in the 99% up-time that our Business and our Network has experienced. Even in case of an emergency Fire, the TanChes ownership and staff were proactive and the disaster recovery steps put in place were executed with precision and accuracy to get us functional within 24 hours. This was a truly herculean task and we appreciate the loyalty and dedication that TanChes brought in at our time of need. The TanChes Team put in countless hours, days, nights and weekends and serviced our growing needs with expert aptitude and a great attitude!" Sylvia Quan, Firm Administrator, Quan, Burdette & Perez, P.C. I have had the pleasure to work with TanChes for a little over two years and it has been a pleasure. They are quick to respond to any support and our needs. They continues to inform us of technology improvements that help make our firm more efficient and safe. We consider TanChes as part of our firm. "I would like to thank TanChes personnel for their excellent services. Tanaz is always extremely attentive and she listened to all my concerns with a great deal of patience. Please accept my gratitude towards her and the TanChes customer services staff for their speedy and efficient services"
"TanChes has demonstrated time and time again that the customer comes first. They are a remarkably trust worthy partner that provides the most cutting edge IT solutions and services." "I have had the pleasure of working with TanChes for multiple years at various manufactures and I am now very excited to have them as a Tintri partner in the Houston metro area. Their biggest strength is how well they understand the technology trends and changes in the market coupled with their ability to apply that knowledge to ensure their client’s success. They are very much a “customer first” type of integrator and that focus is the foundation of their continuing success in business and the community." "We opened our new law firm Quan Law Group, PLLC and required everything from a robust Cabling, Network Infrastructure, Computers, Phone System, Data-Center to a user-friendly Website. TanChes was RELIABLE did an excellent job delivering and setting up our infra-structure in a relatively short time-window. 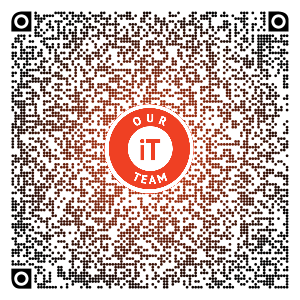 They efficiently manage our Helpdesk requests and our IT needs. TanChes, is definitely one of the premiere IT vendors in the Houston SMB market today. TanChes was commissioned to do our entire IT infrastructure and setup and they completed the project seamlessly with honesty and integrity. They were professional and courteous and best of all, they were proactive. Chesley, has helped create an IT environment for us that is productive and customized to our specific needs. They are easy to work with and we are happy to have a long standing relationship with Tanaz and Chesley, both professionally and personally!" "We were absolutely frustrated with our IT Company and their inefficiency to resolve our technology needs accross our local and remote offices. With problems happening daily and the inability to focus on our business, is what led us to TanChes. Chesley is a brilliant problem-solver and Solutions Provider. With their innovative approach to our unique needs, we now have a stable and reliable IT environment. With our exhaustive travel schedule and extremely high profile Client needs, we needed our business and workflow processes to be simplified and issues to be solved. TanChes has stepped in and worked with us on our schedule and been diligent and respectful. TanChes is probably the last IT Company we will ever need!" Dr. Meherwan Boyce, PhD, P.E., CEng(UK), Chairman, The Boyce Consultancy Group, LLC.